Kensium is an ISO: 27001 compliant organization for Information Security Management Systems. It is covered with general liability insurance and E&O insurance in the United States. Kensium does not utilize contract or temporary employees, and every single employee furnishes personal information which is verified. All the employees are required to sign a confidentiality agreement, and their Government issued photo Identification proof, Address proof and proof of educational qualification are verified. Previous employment verification, criminal record verification and credit record verification are done on a case to case basis whereas reference check is done for all the employees. For a large, long term data indexing project with a prime contractor to the federal government, Kensium went through additional checks. 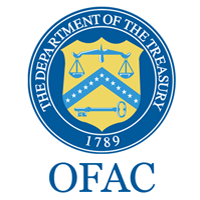 112 employees of Kensium BPO, who were identified to work on this project, went through and qualified the OFAC compliance checks (U.S. Treasury's Office of Foreign Asset Control). OFAC regulations prohibit transactions with certain persons and organizations listed as "Terrorists" and "Specially Designated Nationals and Blocked Persons."